To me, this question holds the power to dramatically impact whether or not an investment you make in a card will be profitable and on what timeline. 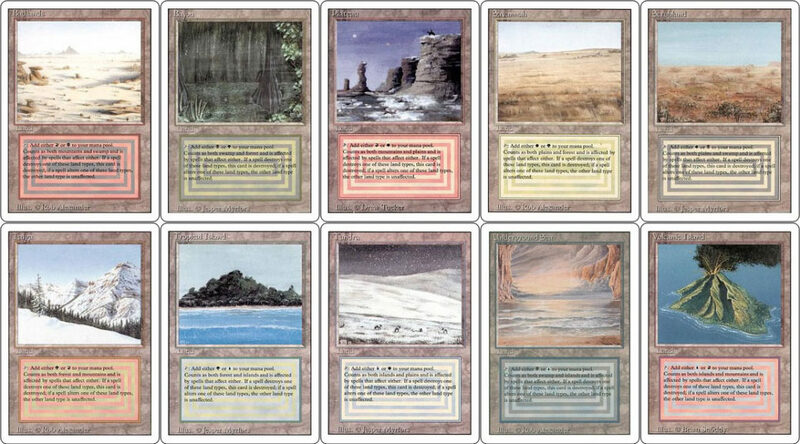 In particular, I’m going to ask this question about two different groups of cards: Eternal Masters cards and Modern cards. These both come to mind because they have both dropped measurably on their own respective timelines, and this is beginning to make for attractive entry points. But a premature purchase could have dire consequences. I remember vividly my poorly executed bet on Scavenging Ooze, which had presumably “bottomed” shortly after its reprint in a core set. 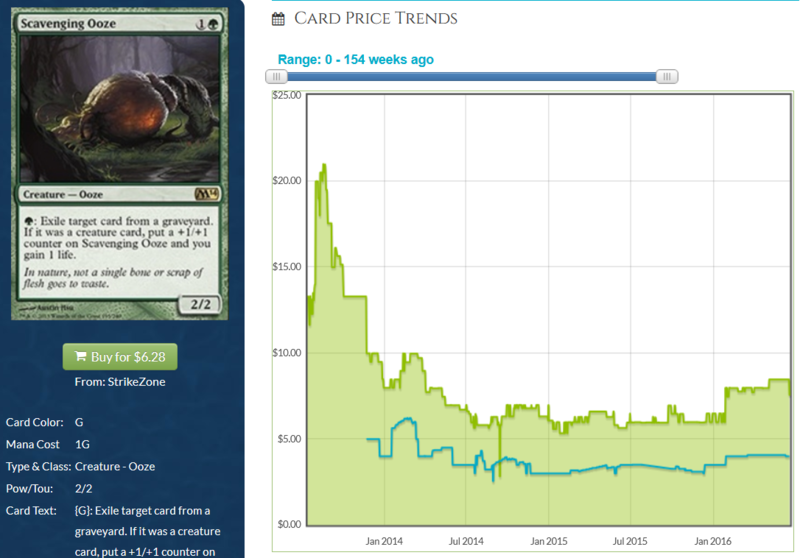 I went fairly deep, using Star City Games’ aggressive buy price as my backup plan in case the bet didn’t pay off. 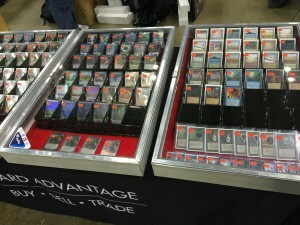 Not only did the bet fail – SCG also dropped their buy price, leaving me with a couple dozen Oozes with no profitable out on the horizon. Now two years later, Scavenging Ooze still hasn’t recovered from its initial post-launch drop. I don’t want to re-live this again, hence why I’m taking the question of a card’s bottom very seriously. Let’s have a look at some data and see what we can conclude. Apparently Sig is now called Jim. Yikes, good catch. I completely misunderstood that announcement. If that’s the case, how do I locate what the PPTQ season is for more recent seasons?? ?